There are dozens upon dozens of mechanical keyboards available, however, most of them are made for gamers, and they are bulky and mediocre, compromising beauty in favor of functionality. Rymek is designed with inspiration from typewriters in the 50s, giving you that clicking sensation under your fingers as you type. Rymek comes with distinguished saddle-shape keycaps, with Blue / Brown switches, a modern switch that emulates the typewriter clicky feel. It supports all OS and works flawlessly on most devices. Users can easily switch between 3 devices using the Bluetooth mode. Rymek is the perfect amalgam of past, present, and future by blending classic design with ultra-modern features. Rymek comes with ergonomically saddle-shape keycaps; the glossy surface is beautiful as well as durable. All keys are arranged for comfortable operation from a default position, which boasts not only typing speed but also accuracy. Rymek features a stainless steel stent to secure your phone or tablet while typing. Rymek adopts Bluetooth 3.0 and supports iOS, Android, macOS, and Windows(With Bluetooth feature) with a highly stable connection. Unlike regular keyboards, mechanical keyboards give you specific tactile feedback on button presses, and the most accurate and reliable performance that typist and gamers will truly appreciate. Rymek features both Blue and Brown Switches to meet the needs of mechanical keyboard enthusiasts. Both blue switch and brown switch are experienced manufacturies in mechanical switches. Blue switch is clicky, easy to type, responsive and generates typewriter sound. Brown switch brings you the tactile bump feeling but smaller clicking sound. Its silent travel makes sure you won’t bother anyone in the same room; a perfect choice for office users. The design inspiration of the scroll knob comes from vintage manual typewriter; it serves a volume controller plus as an on/off switch. You can also use the multimedia key to control the music. Rymek comes with a rechargeable 2000 mAh battery that will last 50 hours on a single charge, allowing users to enjoy the Bluetooth connectivity freely. *Note: Turning on the backlight effects will increase power consumption. Written language is a manifestation of thoughts and communications, a symbol of human civilization. 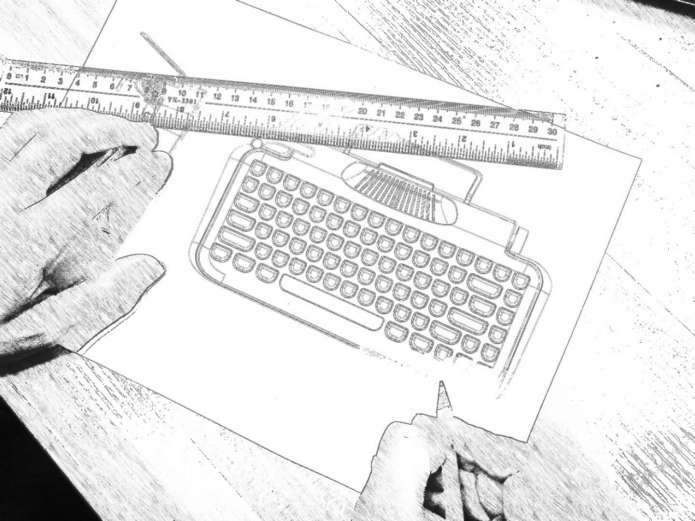 From Oracle bone script, brush calligraphy to typewriting; we are in the era of digitalization. Rymek is eager to engage in the sociocultural evolution, embracing your nostalgia with retro tech. 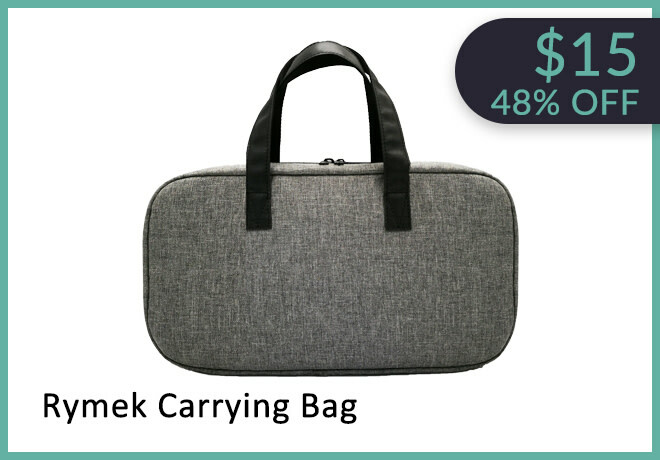 Rymek carrying bag offers you the ultimate convenience, this stylish crush resistant bag comes with an internal pocket for the handle, it is specifically designed for your Rymek and personal belongings, it helps you stay organized in everyday life! 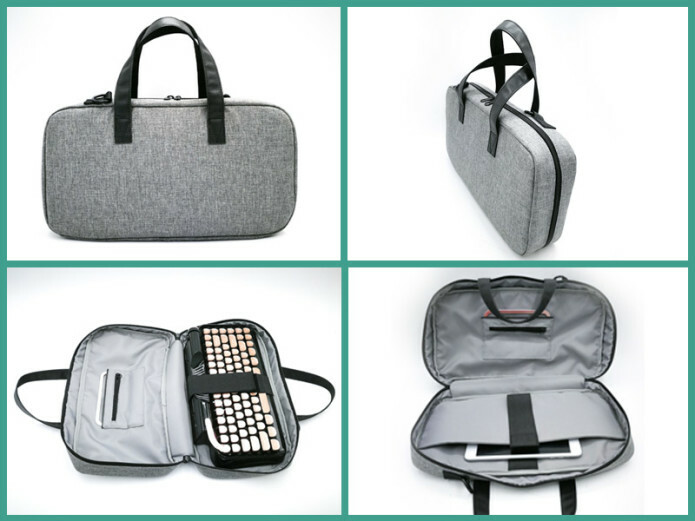 There is a special inside padded pocket to protect your table or notebook, a bag that you can fit absolutely everything! 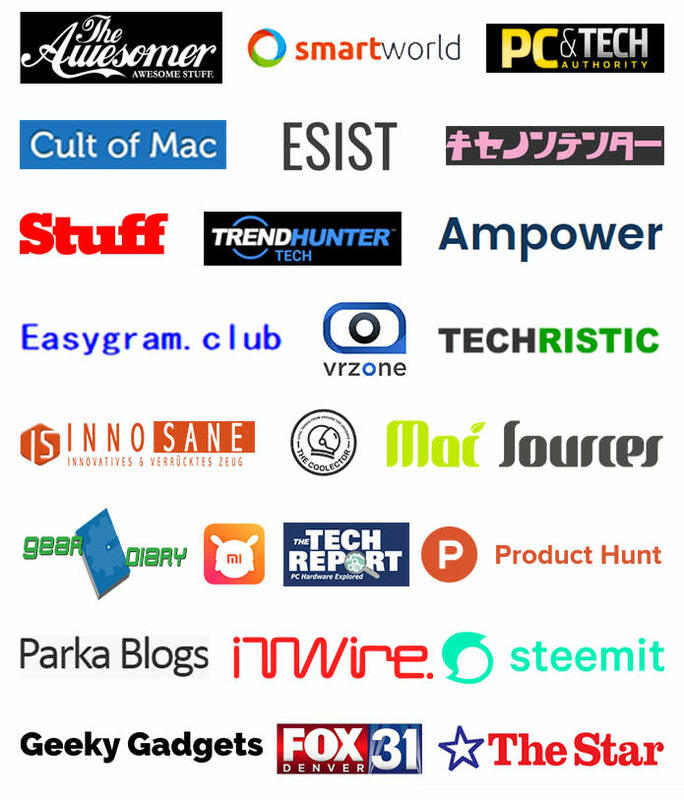 Only 15USD for Indiegogo backers! The material is comfortable cotton fabric surface, good for both summer and winter. Natural latex cotton base offers you the ultimate comfort and minimizes the pressure on your wrists from long hour typing.